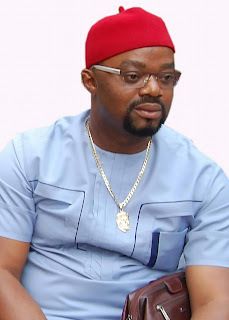 Family Writers eagle-eye and Intelligence gathering team have revealed that the federal government of Nigeria through the DSS has concluded plans to assassinate Mr Aloysius Ikegwuonu a.k.a Bishop. We should recall the efforts made by the federal government of Nigeria and her police commissioner in collaboration with governor Willie Obiano the incumbent governor of Anambra state, to force the public into believing that the St. Phillips Catholic Church Ozubulu terror attack was as a result of two Ozubulu sons fighting a drug war. Something almost every reasonable men and women doubted and vehemently questioned. Even the man they accused of killing his own people has come out in the open and denied his alleged involvement in the killing of his own people. Till today he still walks free. Every thing went soar for the Nigeria police when they can not even make any arrest, nor provide the name of the other alleged party that probably sent the gun men to kill Mr Aloysius so as to substantiate their claims. Being at the cross road, they have now perfected plan to assassinate Mr. Aloysius Ikegwuonu, as to sell and prove the information that the Ozubulu massacre was actually a drug war. We call on Mr. Aloysius Ikegwuonu to be more careful and vigilant as his life could be in danger following our intelligence gatherings. Also we use this opportunity to call on the Nigeria government and DSS to jettison their deadly assassination plots of this innocent man. FROM THE BIAFRAN RABBI. FROM THE BEGINNING,WE KNOW THAT OBIANO DID THE EVIL TO PAY BACK MONEY BISHOP COLLECTED FROM HIM FOR HIS SERVICES TO OBIANO.AGAIN,OBIANO WANTED TO USE A STONE(KILLINGS IN OZUBULU)TO IMPLICATE IPOB SO AS TO DIVERT ATTENTION TILL HE IS RE-ELECTED IN ANAMBRA. SADLY,IN ALL THESE,OBIANO PLAYED INTO THE HANDS OF HAUSA/FULANIS USING POLICE CHIEF TO KILL ANOTHER IGBO SON.I MAY NOT DEFEND BISHOP BUSINESS OF DRUGS OR IMPORTER/EXPORTER, ESTATE DEVELOPER IN SOUTH AFRICA ETC BECUASE I DO NOT KNOW HIM PERSONALLY BUT HOW COME OBIANO IS AWARE OF DRUGS BUSINESS? ANY CONNECTIONS BETWEEN FIDELITY BANK,DRUGS AND OBIANO? HAHAHAHAH,UMU-IGBO ARE WATCHING OBIANO OZUBULU KILLINGS PAY BACK GAMES WITH SADNESS. AT THE RIGHT TIME,THE TRUTH MUST COME OUT MAY BE IN BIAFRA REPUBLIC AND HE,OBIANO WILL ANSWER QUESTIONS. URS THE BIAFRAN RABBI.